In early 2006 Headland carried out an excavation at Meadowend Farm, Kennet, in Clackmannanshire in advance of the construction of a road for the new Clackmannan Bridge, which has also been referred to as the ‘Upper Forth Crossing’. Archaeological works were funded by Transport Scotland and monitored by Historic Scotland. An initial evaluation revealed prehistoric and medieval features near Meadowend Farm and prompted the opening of larger areas for further excavation. This revealed previously unknown evidence for human occupation from the Neolithic and Bronze Ages. 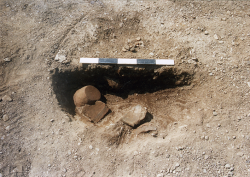 The most significant result was the discovery of the largest and best-dated assemblage of Middle Neolithic Impressed Ware pottery in Scotland, consisting of at least 206 vessels. A single Early Bronze Age structure and related pits as well as four Early to Middle Bronze Age roundhouses were also found. 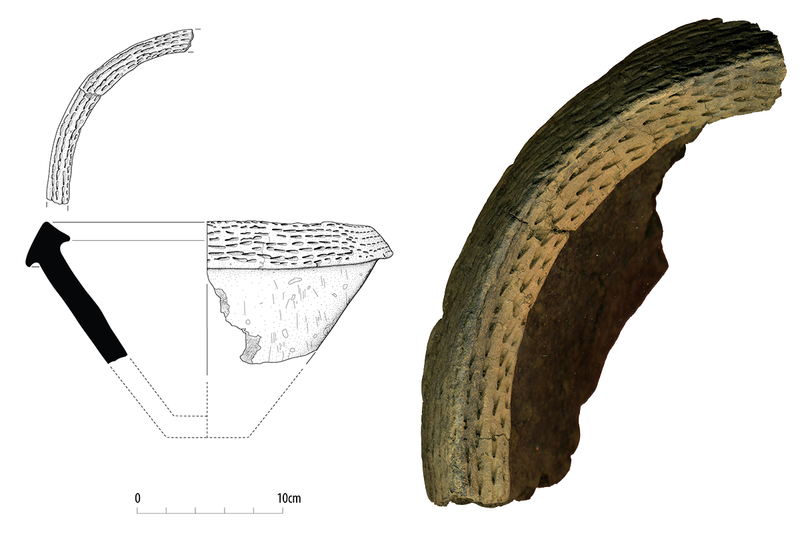 If you are interested in reading more about the Neolithic and Bronze Age discoveries from Meadowend Farm they have been recently published by the Scottish Archaeological Internet Reports (SAIR) and can be found here.